The formation and success of The Touré-Raichel Collective, the band led by Israeli keyboardist and songwriter Idan Raichel and Malian guitarist Vieux Farka Touré—icons in their own countries and abroad—is a reminder of the unique power of music to bridge geographic, ethnic, political and religious differences. As a follow up to their acclaimed 2012 debut, The Tel Aviv Session, the group will release a new album, The Paris Session, September 30 on the Cumbancha label. The Touré-Raichel Collective will tour the U.S. this fall; please see below for an itinerary. They met for the first time by chance, in 2008 at the Berlin airport, where they expressed mutual admiration and a desire to get together and play. Touré’s father, the late great Ali Farka Touré, was one of Raichel's musical heroes and inspirations. Raichel invited Touré to Israel, where they assembled a few musicians and convened an unscripted, improvised jam session. The chemistry between Touré and Raichel was instant and profound. They assumed the name The Touré-Raichel Collective and used the material from that first gathering as the basis for an album, The Tel Aviv Session, which found poignant, musically beautiful common ground between the artists’ cultures. Due to popular demand, The Touré-Raichel Collective has undertaken multiple international tours and performed on some of the world's most prestigious stages. In June of this year, Touré returned to Israel to join Raichel's band The Idan Raichel Project in a performance at Masada, an archeological site of immense significance in Jewish history. It all works, first and foremost, because Touré, Raichel and their guests manage to make singular music. Reviewing The Tel Aviv Session for NPR’s All Things Considered, Banning Eyre wrote, “If Raichel and Touré had planned a collaboration, it's hard to imagine that they could have topped the casual charm of this impromptu encounter.” Hosting the Collective on WNYC’s Soundcheck, John Schaefer called the debut recording “one of the year’s most surprising and infectious world music releases.” Wall Street Journal rock and pop music critic Jim Fusilli has described the collaboration as “not so much cross-cultural exercise as an exploration of common ground.” Relix called is "as close to perfection as one could imagine," and Songlines raved in its four star review "There's something very pure of spirit about this album. Although the album grew out of jam sessions, the end result is architecturally robust and infused with strong emotive melodies. A delightful, soulful debut album that exudes optimism." That same optimistic, and adventurous, spirit simmers through The Touré-Raichel Collective's second album. Despite its unassuming spontaneity, the engaging interplay on The Paris Session exemplifies the unifying power of music. 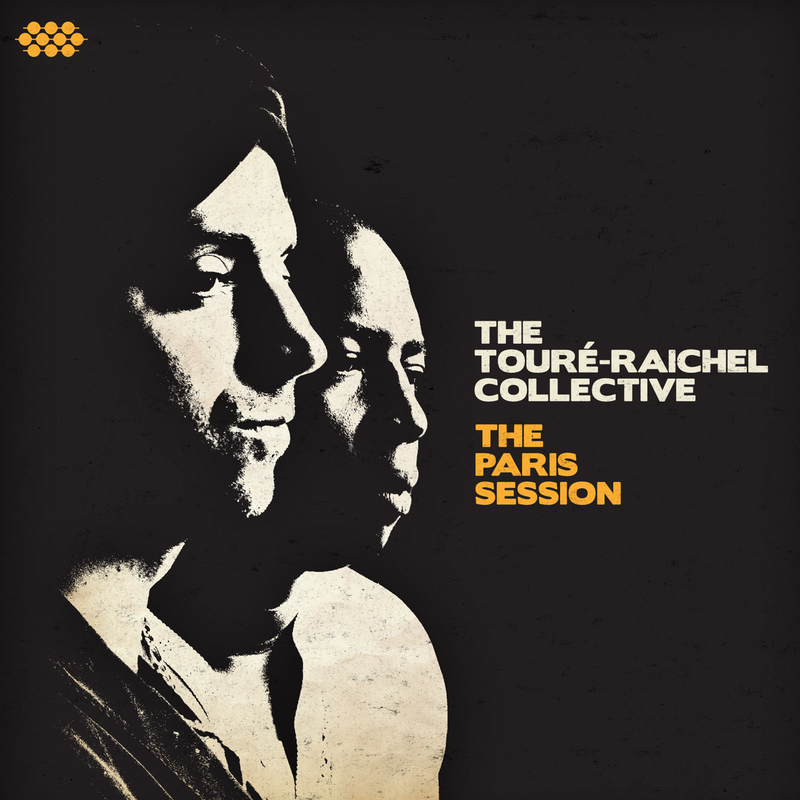 We're very happy to announce that, as of today, The Touré-Raichel Collective's debut album The Tel Aviv Session has secured #1 on both iTunes' and Amazon's World Music charts in Germany. If you haven't yet taken a moment to check out this unique recording check out the video below and head over to the Cumbancha Official Store where you can stream the album in full and, if you so desire, purchase the CD and/or Digital Download. Learn more about the making of The Tel Aviv Session by visiting The Touré-Raichel Collective's Page. Idan Raichel and Vieux Farka Touré (who together make up the critically-acclaimed supergroup The Touré-Raichel Collective) stopped by the famous Amoeba Music store in San Francisco, California in April while on tour. While they were shopping they took part in Amoeba's video series What's In My Bag? where the two briefly discussed some of the music that has inspired and come to inform their own. Check the video out below. Mondomix was on the scene at this year's WOMEX conference in Thessaloniki, Greece and managed to beautifully capture on film part of the always-evolving live performance from 2012's break-out collaboration between Vieux Farka Touré and Idan Raichel. Check out the video below and if you haven't gotten your copy yet, head over to the Official Cumbancha Store. If you happen to be going to WOMEX in Thessaloniki, Greece this month make sure to come check out the exclusive showcase by the The Touré-Raichel Collective, happening Thursday, October 18.